Although we have already described Product Custom Options Templates for Magento 2 and 1, it is time to shed light on a more complex tool by Mageworx – Advanced Product Options Suite. The all-in-one Magento 2 product options extension is designed to substantially improve your daily routine related to product custom options management. With the out-of-the-box Magento functionality, you can create a wide variety of product variants, but have to add options to every product manually. The Advanced Product Options Suite extension for Magento 2 equips ecommerce merchants with the tools to ease this time-consuming process, especially if they have a large number of product variations on their online store. The module offers a complete set of custom option tools necessary for creating custom-tailored product offers. With the extension, you can create an unlimited number of various options templates in a few clicks and apply them to multiple products at once. Furthermore, you can establish custom options relations by implementing different types of dependencies. With this handy feature, you can quickly create multi-step product options. Using colour and image swatch feature for custom options, you are helping customers to make the right choice when they shop on your store. By setting custom prices, you can control the cost of any option with flexible pricing, and build individual and tier pricing schemes. Moreover, you can differentiate your selling strategy by enabling extra options and special prices for specific groups of customers. The Advanced Product Options extension also brings backend users a robust toolkit to control the inventory with detailed stock reports. With the advanced inventory management, you are enabled to quickly track and modify the stock quantity for every product option. The Mageworx product options module combines the above mentioned and many more features to provides a highly customizable solution letting Magento 2 merchants create multiple product offers, increase revenue, and bring more loyal customers to their web stores. Below, we describe some of these features exploring the extension’s backend. All these features are designed to simplify manual product configuration making it smoother and stress-free. Instead of a long set of actions, you just need to click a few buttons, specify necessary details, and you will get multiple product variations on your website. There are dozens of templates for creating product custom options, like size, colour, brand, storage, and more, and you can easily create more using product SKU or ID. Templates can be assigned to any product or group of products, as well as an option can be set as default. The Mageworx Advanced Product Options Suite extension supports custom input types, such as checkbox, drop-down, radio buttons, and more. You can instantly delete templates or edit them. It is also possible to rapidly enable or disable custom options on the front-end. 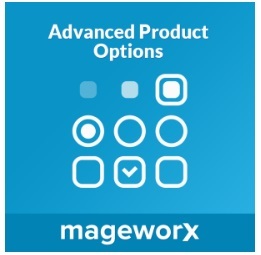 The Mageworx Advanced Product Options Suite makes your inventory system running like a clockwork. After installing the extension, you will forget about keeping track of inventory by hand. There will be no need to spend precious resources on inaccurate inventory counting: the module does everything automatically. It displays the custom options Qty field on the front-end, hides out-of-stock options, notifies about out-of-stock products with a message, shows the total quantity of custom options, and, moreover, allows quantity input for a product option. As for the general settings, the Mageworx Advanced Product Options Suite extension provides user-friendly management environment for all custom options under Options Inventory Report. As a Magento admin, you can easily get a detailed data about available custom options, edit custom options in one click, rapidly find out-of-stock options; and more. Using the custom options dependency feature, you can create products with various options that will be displayed to customers based on their initial option choice. As an example, if a customer wants to buy a T-shirt on your online shop, they have to select “Size” option before choosing a “Color” option. In this case, “Size” option is configured as a main, or parent option. With the image and colour swatch functionality, you can add a beautiful visual display to any product variant. There is no limitation on the number of images added to an option, and you can also create a multiple images gallery for any product variation. With the extension, you can also optimize SEO of your product images by adding alt tags and even add text custom options in the “button” style. Besides, the module lets you add the image and description of an option in the preview tooltip. 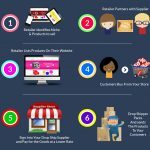 By setting custom (including absolute) weight and cost values for product options, your customers see accurate shipping costs right in their cart, and you can calculate net profit generated by each product sale. The extension also allows specifying individual prices for a custom option, so that you can offer flexible pricing schemes to your customers. Moreover, it is possible to set a one-time option price to charge the specified amount only once. All option templates are available under Stores → MageWorx Option Templates → Manage Option Templates. As for available mass actions, they are Delete and Edit. You can hide all columns except the first one. Besides, it is possible to apply filters: ID, Store View, and Title. When adding a new option template, you will deal with three tabs: Options Template Settings, Products Relations, and Customizable Options. In the first tab, you should add a template title. In the Product Relations tab, the extension lets you utilize a product grid, product IDs, or product SKUs. Depending on the option you choose, the tab contains different sections. If assigning templates to products by Product IDs or Product SKUs, you will need to enter individual product IDs or SKUs. Note that the appearance of this tab depends on the Option Type (defines input type: Text, File, Select, or Date). Different input types require unique data to be specified. In the first block of this tab, you can enable absolute cost, weight, or price to be used in the custom options instead of the default values. If you tick off Required, a customer will not be able to put a product in their cart before choosing a custom option. Enabling One Time function adds custom price only once not depending on the number of items in a shopping cart. Here you can also add quantity input for a product option. 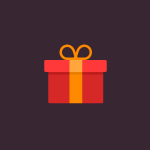 If you want to add custom option images to a product, you should choose one of the options in the Select Option Type: Drop-down, Radio Buttons, Checkbox, or Multiple Select. In this case, you will be able to configure Option Gallery Display Mode (defines how images will be shown on the frontend) and Image Mode (Disabled or Replace). If you select Drop-down Option Type, the extension will also let you display image swatches. Click Is Swatch checkbox to enable this feature. By clicking Dependency button, you can add a parent option and specify conditions for child options to create dependent product attributes. When customizing a product option, you can also set available stock quantity (Quantity) and use the inventory (enable Manage Stock toggle). As for the extension general configuration, it is divided into four tabs: Option Features, Option Dependency, Option Inventory, and Option Link. The first one lets you enable or disable weight and cost fields and absolute value toggles, as well as other features that will be available when you add a new option template. In the Option Dependency tab, you can enable Title Identifier, which will add the Title ID field to the product options configuration. The Option Inventory tab allows enabling or disabling option inventory display on the frontend, activate out-of-stock message, and disable or hide out-of-stock options. As for the Option Link tab, it lets specify SKU linking settings. In case of an individual product, custom options are available under Products → Inventory → Catalog. In the Catalog grid, select a product to which you need to add a custom template and open Customizable Options tab. Here you will see a section with your custom templates. Choose one or several to apply to the product. In this example, Size option is marked as Required (red asterisk), meaning that a frontend user has to select one of the options from the drop-down menu to add the product to cart. Price of the product differs depending on the Size option chosen. A customer also sees an out-of-stock message for a product option which quantity equals zero. In the above case, Color option and Memory Storage option is marked as Required. Here we also see the options dependency: after selecting a colour, a website visitor can choose Memory Storage. Inventory preview and tooltips are also enabled for these product options. Mageworx Advanced Product Options Suite for Magento 2 and 1 is a robust tool that essentially simplifies your daily routine related to custom options. The extension has a very intuitive interface so that you can master it without any third-party specialists. 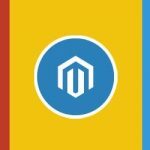 As for the price of the module, it is $299 for the Magento 2 version, but now you can get it with a discount for $269. As for the Magento 1 tool, its price is $249.